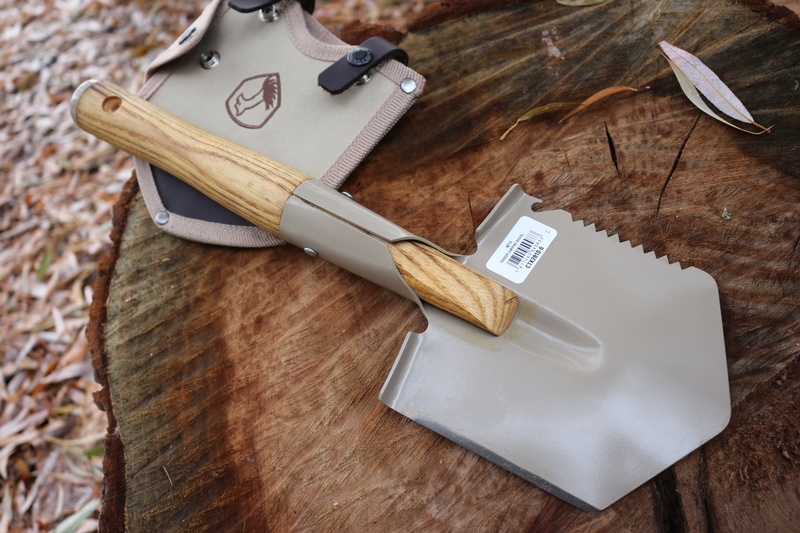 Tough, compact Outdoor shovel from Condor Tools of El Salvador. The shovel is 16 1/4in overall length with a 1045 HC steel blade measuring 6 x 5 1/2in. The Blade is beveled for better cutting and there is a serrated edge and folded shoulders. The handle is a solid piece of American Ash capped with steel and pinned to the blade head. Really useful piece of kit around the camp and an essential bit of kit to carry in the truck. 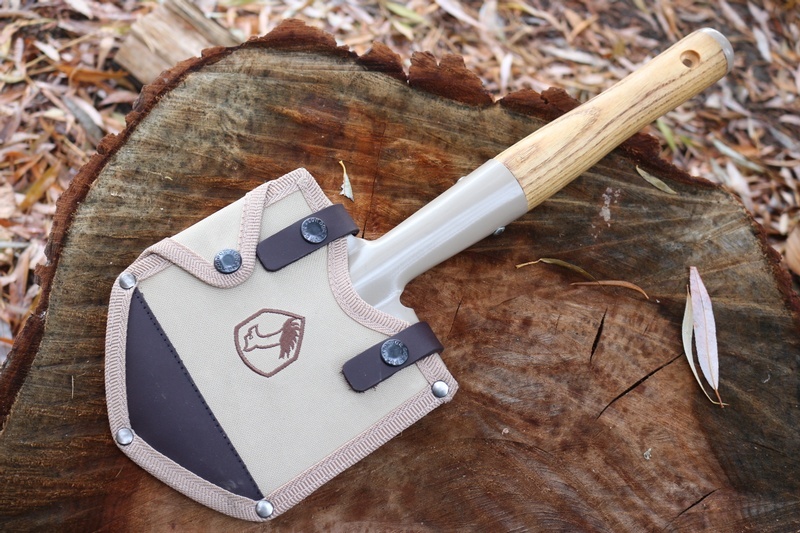 Comes with MOLLE compatable Nylon and leather Blade cover. 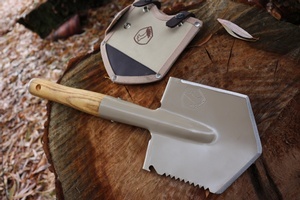 Purchase through PayPal by using the "Add To Cart" button above or use the form below to order the Condor Outdoor Shovel . 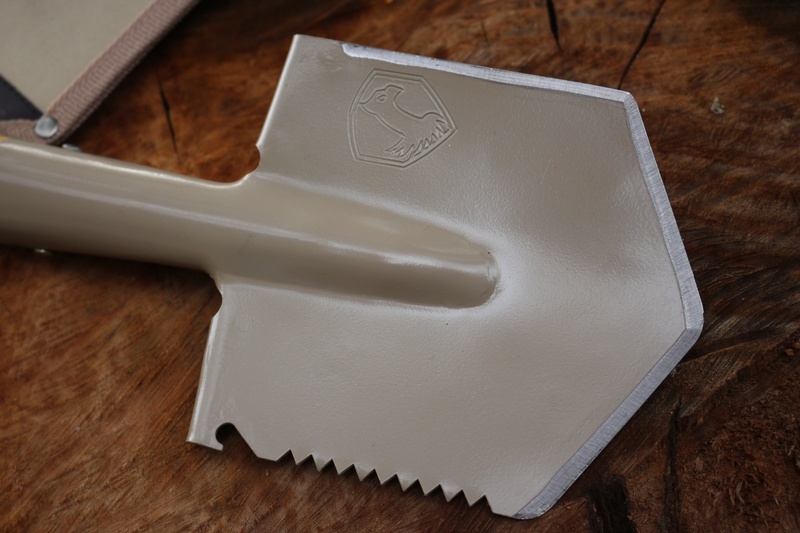 Feel free to contact us if you have any questions about the Condor Outdoor Shovel .